Edited by Trevor Greenfield and introduced by Rachel Patterson this book was put together to mark 60 Years after the publication of Gerald Gardner's Witchcraft today'. How ever awkward a figure Gardner is for some, the impact of his work in terms of making witchcraft visible and available, cannot be denied. On her website, author Amythyst Raine describes her book in the following terms - "With "The Gray Witch's Grimoire" you can empower yourself through ancient mysteries, secret rites, and magickal spells that leave the world of the mundane behind and nurture the wise-woman in us all." There are a great many different ways of understanding the idea of faerie/fairy. For Flavia Kate Peters, faeries are elemental beings, clearly divisible into the realms of earth, air, fire and water – she identifies beings like mermaids with faerie – not something I would do, but I find it an interesting line of thought. As elemental beings, Flavia sees faerie as intrinsic to the natural world – the spirit and energy of this world we inhabit. Not everyone understands faerie in this way, but for those who do, the book offers an array of spells, meditations and ways of connecting with these spirit presences. Flavia Kate Peters has a lively, exuberant writing style and an enthusiasm for her subject that permeates every line. The book itself is very gentle, certainly suitable for beginners. Whether it will work for you depends a lot on how you understand the idea of faerie, and what kind of spiritual path you are on. I would suggest it’s an ideal book for a New Age reader, some Pagans will find it highly resonant, others will not. You need to be willing to see this world as alive with conscious presence, and to see those presences as fundamentally positive and benevolent. If peace, positivity, gentle playfulness and the sparkle of fairy dust appeals to you, then this is very likely a book you want to pick up. If you are more unseelie in your inclinations, or don’t relate to faeries as elemental beings or as present in our world, then this is probably not for you. One of the difficult things about a book featuring the thoughts of 101 Pagans, is finding some Pagans who are not in it to review it! It doesn't seem so very long ago that finding 101 people who would admit to being a Pagan was an unlikely prospect, and this community book goes a long way to expressing how far out of the broom closet we now are. Participating in community projects like this is a great way for new writers to develop their skills and confidence. In this blog post - http://www.badwitch.co.uk/2014/01/paganism-101-introduction-to-paganism.html - Lucya Starza talks about her involvement. This year sees the release of her first book as a solo author - Candle Magic. It's been a very popular book, not least because having 101 voices in it, there's no room for dogma or narrow vision. Each section has a topic covered by a well established Pagan writer, and then other writers offer their own experiences and perspectives, so everything from ethics and nature to ancestors and the afterlife is explored with multiple voices. I was asked to contribute a piece on prayer and meditation - having written 'Druidry and meditation' and being then in process with 'When a Pagan Prays' - so I'm an entirely subjective commentator on this book. The experience of being a participant in a community project was so powerful for me, that when Trevor Greenfield (editor of this title and publisher of Moon Books) asked me if I'd like to take on the Pagan Planet project, I jumped at the chance. This book explores the differences between mountains as people imagine them, and mountains as they turn out to be when you’re on one. It’s a difference that has a habit of killing people. Through talking about historic understandings of mountains, MacFarlane is able to open up the broader territory of landscape writing, ideas of masculinity, adventure and conquest. It’s a beautiful, fascinating read, weaving history with personal experience. You don’t have to be obsessed with mountains to enjoy it, either. Being the sort of person who likes to admire them from afar, reading about other people’s deaths, accidents and near-deaths on slippery, near-vertical surfaces has confirmed me in my prejudices! I'm making a point of reading landscape books at the moment - there are many ways in which writing connects with place, and this is one of them. Author Anthony Nanson is both a novelist and a story teller, so is able to breathe life into the folk tales of Gloucestershire. Many of the stories in this book are connected with landscapes I know intimately. Some of the tales were familiar, others not, including one about a hill that has left me with a significant mystery to ponder. For me, what made the book so valuable was the intertwining of known history, physical place, and story. At times there are reasons to think that the stories have grown out of those other features, perhaps to explain something. I particularly liked the way in which the Devil stories for the county were woven into one tale. I hadn’t realised just how much of the landscape was of the Devil’s making! Parallels with tales from elsewhere were also fascinating. It’s a lively read, and a must if you’re in the county. Some witches seem really bogged down in the issues of what's good/white magic and what's not ok, as though its possible to make broad sweeping statements, rather than looking at the complexities of each specific situation. This is a much more pragmatic, down to earth sort of book. Here's some quotes from other reviewers and links to their reviews. Sometimes, to do what's needed, we have to make tricky choices. There are so many different approaches to fairy/faery/faerie out there, and it means so many things to different people. I’ve had a week off, and in that time, I’ve been reading. I thought I’d set the tone for 2016 by kicking off with reviews of the books I’ve read over the last week. The Old Magic of Christmas, Linda Raedisch. A book exploring myths, legends and folk practice from Germanic and Scandinavian countries, interspersed with ways to do some of the things described. Charming, accessible and very readable, it’s not an academic text but the author seems well read. While I’m no expert on Christmas traditions, where there were overlaps with things I know about, I saw nothing to take issue with. I very much enjoyed the author’s willingness to explore all the gruesome and creepy aspects of the season. If only regular Christmas had more trolls in it, I’d probably find the whole thing far more palatable! The Sandman: Overture – Neil Gaiman. A prequel to the Sandman series, I imagine it would make little sense to a reader who hadn’t already read the other titles. It’s beautifully put together, the art really shows what can be done with a graphic novel when the artist, letterer and colourist have time to lavish care and attention on every page rather than what the usual factory approach delivers. In terms of story, it is odd, clever, sometimes funny, poignant, uncomfortable – in short all I have come to expect from Neil Gaiman. If you like what he does, you will like this one too. The Voice that Thunders – Alan Garner. A collection of essays exploring the process of writing, the writing industry, landscape, history, family, the relationship between books and classrooms, mental health issues, language, dialect… all laced through with stories of people and places. A fascinating read and exactly what I needed at this point in time. If you’re fascinated with Alan Garner and his work, of if any of the above themes are obsessions of yours, then I heartily recommend it. local ghosts for local people! I didn't know any of these stories of spooky goings on in Gloucestershire. An an engaging set of tales well told, I shall have to get out there and find some of the locations, Woeful Dane's Bottom is at the top of my list. I'm often wary of MBS books about healing because they can tend to blame the victim. Not this one. This is a warm, compassionate sort of book that acknowledges the ways life hurts us, and offers cope to move on from that. It is for the greater part spiritual memoir - with some fascinating stories and experiences. 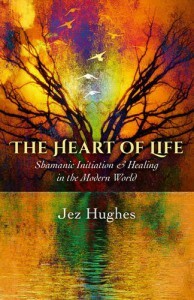 it's also very much a book of shamanic philosophy, and as such is a terrific insight into that whole world view. it's really readable, and accessible, I also found it helpful and encouraging. 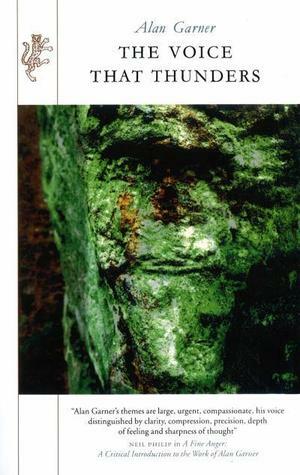 If you're interested in shamanism, the philosophical aspect of this book is invaluable - I've read a number of shamanic titles now, and never seen the underlying ideas explored in such depth or to such a good effect. I’m very much a lifelong learning person. Learning new things, new ideas and new skills is a source of joy to me and I can’t imagine ever wanting to stop. Unshockingly, given the whole Druid thing, I find it a cyclical process. I discover something, I study, explore, practice, I get better at it. I start to feel that I can do the thing passably well. Then I see something else that makes me realise how little I know, and I find myself feeling that I am starting at the beginning again. Occasionally this is frustrating and depression, but most often it’s an exciting experience. I’ve gone back and relearned how to breathe, repeatedly. Learning to breathe underpins all kinds of voice work, meditation, physical activities. Each time I learn, I go somewhere new, I make a kind of progress around my spirals. I go through it with music too, pausing to break down my techniques as I try to tighten up on some aspect of how I play. Working with voice and bouzouki, I had to go back and learn how to breathe again. Circles within circles. I never did get the hang of breathing, singing and drumming all at the same time, though. When I started out learning Druidry, I studied correspondences, ideas about circles and elements and pretty much anything anyone pointed me at. I worked very hard to learn. Then somewhere along the way I grasped that Druidry is not wholly an intellectual thing you can get out of books, and that I needed to change my doing. I was outside a lot, but I had to do a relearn to bring Druid ideas to my time amongst trees, and then further relearning as I started to question and challenge the book learning. Particularly, having studied the wheel of the year, I then totally questioned the whole thing and wanted to move away from year narratives. Now I’m feeling a desire to look at that again, to go back to the fundamental cycling of moons and seasons, and think about my own year shapes. I’m currently reading Dorothy Abrams’ Identity and the Quartered Circle. This is a book about fundamentals, and its making me go over my own practice and beliefs again, thinking about what I do, and how, and why. It’s a witchcraft book, and I’ve never seen myself as that kind of magical practitioner, but there are things that could stand a rethink. It may be time to go back to the beginning again and re-walk the spiral paths of Druidry. I also find myself a novice in being a person. I don’t know who I am. That’s actually exciting, because it allows so much room for change and growth. I’m recognising things that have been put on me from outside, and shaking them off, but I don’t know who I am without them. Who would I be if I did not start from the assumption that I’m undeserving and useless? How would I behave? What would I be able to do that is currently unavailable? How would I feel? A fledgling in old skin, trying to work out if these are wings, or flippers or what, and flapping, and wondering if I belong in air, or water, of where… metaphorically speaking. know is a tremendously liberating experience. It opens the door to learning. Every morning is an opportunity to go out there and become something new. Again. Inside it was already bustling with people and full of vendors selling their wares. Packed to the rafters...all the chairs were full and people were still going in and sitting on the floor - I suspect I looked like a rabbit in headlights because I was hit with an overwhelming desire to turn and run. A huge thank you to everyone that came to the talk ...and stayed...it was very much appreciated. Also a big heartfelt thank you to all the Kitchen Witch posse and those familiar faces that attended the talk took, I ♥ you guys. After a quick bite to eat (a very nice vegetable dish) it was time for thebook signing. Big thanks has to go to the two ladies running the COA book stall, they worked tirelessly all day. Another big thank you to those that came and purchased books as well - most of them sold out completely! With the talk and the book signing unfortunately I didn't get to attend many of the other talks and workshops. I did get to watch the opening ceremony led by the fabulous Tylluan Penry and also made it to Professor Ronald Hutton's talk towards the end of the day - always worth listening to. It is a huge event and one that must take a massive amount of organising so thank you to all those involved in staging it.